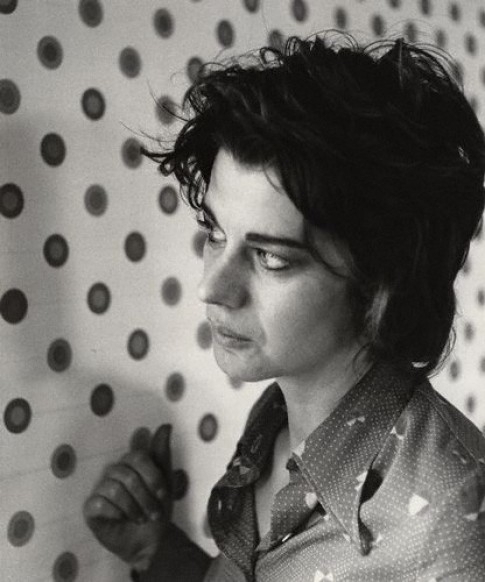 Bridget Riley (born as Bridget Louise Riley in Norwood, London, England, UK) is a famous Artist from United Kingdom, she is 87 years old and still alive, born April 24, 1931. Bridget Riley is an English painter, a leading figure in the artistic movement of Op Art created complex configurations of abstract forms designed to produce striking optical effects. Riley was born on in London, where she studied between 1949-1952 at Goldsmiths College, where she specialized in drawing, and later at the Royal Academy. In the late 1950's she was influenced by the pointillism of Georges Seurat, as the painter Maurice de Sausmarez, a great admirer of the work of Riley, which she later devoted a monograph (1970), persuaded her to study it. However, Riley achieved a great reputation through abstract paintings executed in the 1960s, later celebrated several retrospective exhibitions of his works, like the one organized in 1971 the Hayward Gallery. After his first pointillist stage, Riley experienced by 1960 with a painting of large areas of flat colors, before numerous black and white works between 1961 and 1965. In its second phase, focused on creating series of geometric shapes, subtly different in size and shape to get a sense of movement remarked, as can be seen in The Fall (1963, London). At the end of the 1960 Riley experimented with other optical devices, painting with pure colors complementary lines, which affected the perception juxtaposition of individual colors bright. During the 1970's increased its range of colors, including both black and white. Despite its high degree of abstraction, the works of Riley try to evoke the visual experience of the world, which can be determined, for example, in the series of paintings in 1980 after a trip to Egypt. The importance of Riley is due mainly to his contribution to the development of Op Art In addition to influencing the work of artists from other countries, had several assistants who completed many of his paintings according to their designs and instructions. This emphasizes that, like most of the art of the late twentieth century, the conceptual aspect of their work becomes more important than the individual quality of its execution. She is born under the zodiac taurus, who is known for Security, Subtle strength, Appreciation, Instruction, Patience. Our collection contains 13 quotes who is written / told by Bridget. "Painting is, I think, inevitably an archaic activity and one that depends on spiritual values"
"I work with nature, although in completely new terms"
"Painters have always needed a sort of veil upon which they can focus their attention. It's as though the more fully the consciousness is absorbed, the greater the freedom of the spirit behind"
"As a painter today you have to work without that essential platform. But if one does not deceive oneself and accepts this lack of certainty, other things may come into play"
"In my earlier paintings, I wanted the space between the picture plane and the spectator to be active"
"His failures are as valuable as his successes: by misjudging one thing he conforms something else, even if at the time he does not know what that something else is"
"I think this lack of a center has something to do with the loss of certainties that Christianity had to offer"
"As the artist picks his way along, rejecting and accepting as he goes, certain patterns of enquiry emerge"
"An artist's early work is inevitably made up of a mixture of tendencies and interests, some of which are compatible and some of which are in conflict"
"I used to build up to sensation, accumulating tension until it released a perceptual experience"
"Focusing isn't just an optical activity, it is also a mental one"
"There was a time when meanings were focused and reality could be fixed; when that sort of belief disappeared, things became uncertain and open to interpretation"